Designed and implemented SharePoint 2013 with several customers, increasing their internal collaboration and communication abilities. Designed and implemented Social intranets for organizations as they begin to make the intranets more interactive, providing for increased sharing of ideas and IP among and between internal teams. Performed several FAST ESP migrations to SharePoint 2013 as organizations migrate away from FAST ESP before Microsoft ends support for this product. Planned and deployed more organizations to Office 365 as cloud implementation increases in organizations and the revolution in adoption continues. Designed and implemented several Business intelligence applications for customers on SharePoint 2013 using SQL Server 2012 and its BI components. These BI solutions frequently utilize data from disparate sources, providing rapid access to dashboards and scorecards which facilitates cost-savings and agility for our clients to quickly adapt to an ever-changing marketplace. Integrated SharePoint and Salesforce.com, providing an easy-to-use interface for CRM functions. Microsoft’s Cloud strategy has reached “version 3.0.” Those of you who have used Microsoft products for some time know that when a product reaches version 3.0 in development cycles, it is “ready for prime time.” Netwoven is quite excited about the potential savings, convenience, and low cost of ownership Microsoft Office 365 offers to customers. Increased use of the Cloud for SharePoint. 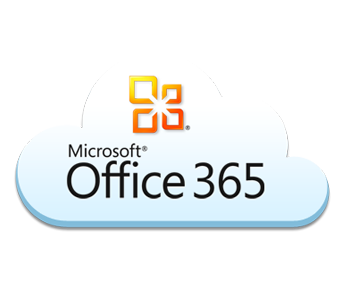 The initial waves of Office 365 have been focused on Exchange and Lync. Now organizations are looking to move SharePoint to the Cloud and Microsoft is rapidly expanding its worldwide server infrastructure to support the exponential increase in customers who are adopting their platform. Increased use of Hybrid rather than cloud-only infrastructure so applications / information can be on the cloud as well on software on-premise, allowing organizations to take advantage of the best of both worlds. Netwoven’s Cloud Service business is thriving and we are actively working with organizations to move them to the Office 365 cloud as well as developing Windows Azure-based mission-critical applications. We’d be delighted to help you plan where and how to deploy your Cloud strategy—Please contact us for a confidential whiteboard strategy session. Finally, we’re delighted to announce a move to our new office space in Kolkata! Located in the IT hub of Kolkata, the new location allows for expansion of our team in an area of the city where many multi-national corporations are also headquartered. Rajesh Agadi, Principal consultant with Netwoven and Niraj Tenany , President, were invited to be panelists in the Silicon Valley SharePoint User Group (SVSPUG) on July 18th, 2013 at the VTA office in Santa Clara. Twenty-five or more people attended the user group meeting where important and interesting topics were discussed and advice sought from the panel. Discussion included Office 365, Search, Application Development, Document Management, and Responsive Design—all areas of expertise which Netwoven provides to our clients globally.Please visit our list of events to find out how Netwoven is shaping the future of SharePoint implementation and interoperability with our customers and connect with us at Bay Area gatherings. Netwoven consultants have been actively participating in local SharePoint-related events to help advance corporate understanding and adoption of SharePoint. We invite you to review the material we’ve shared in the last 3 months at these events. And, you’re cordially invited to our upcoming events! Netwoven Inc. is a leading Enterprise Information Management company providing services that enable more insights into information for better decision making.Founded in 2001 by senior-level executives from Microsoft, Oracle and Intel, Netwoven powers more intelligent enterprises by connecting people, processes, and information. We help medium to large enterprise customers unlock the hidden value of their information assets and derive rapid return on investment from their technology investments.Netwoven specializes in using Microsoft, SAP, Apple and Salesforce.com products. For a limited time, Netwoven is offering a complimentary assessment of your environment to analyze your IT infrastructure for migration to Microsoft Office 365. Email to reach one of our experts and schedule your assessment.